For a number of New Space firms, the path to space goes through the Eastern Shore of Virginia and onto the International Space Station (ISS). The state is steadily growing beyond its identity as a data center hub into supporting lower-cost access to space by building components and completed nanosatellites. 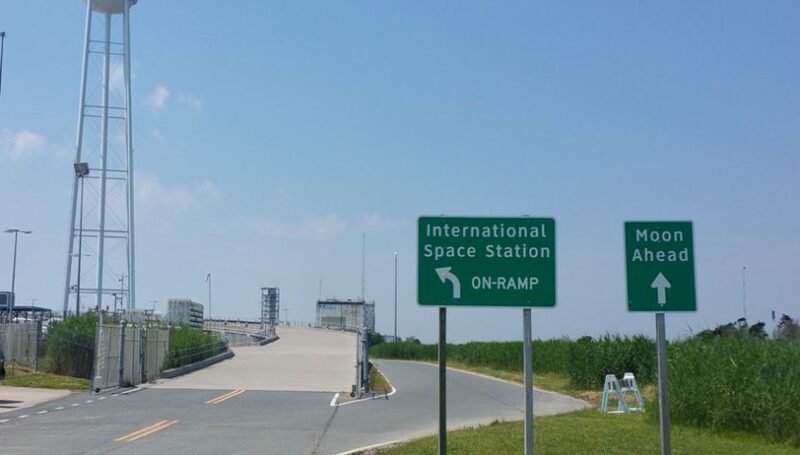 Driving from Washington D.C. to NASA’s Wallops Island, Virginia facility is usually a 4 hour drive; longer on summer weekends when everyone leaves town to go to the beaches of Ocean City Maryland and the surrounding area. Since 2013, Dulles, Virginia-based OrbitalATK — soon to be a division of defense giant Northrup Grumman — has conducted commercial supply missions from Wallops to ISS. The company uses its Antares launch vehicle to put its Cygnus cargo vehicle into orbit, bringing food, clothing, experiments and supplies to the space station. It takes approximately 10 minutes for Antares to put Cygnus into orbit, then Cygnus typically takes three days to rendezvous with ISS. Once connected to ISS, astronauts unload Cygnus of all its cargo and refill it with trash. After about 30 days or so, Cygnus is released to conduct other activities and ultimately burns up in the atmosphere. Nearly all nanosatellites today are built to the open CubeSat standards, using commercial off the shelf (COTS) parts for electronics and structures. A 1U CubeSat is a 10x10x10 centimeter block, weighing no more than 1.33 kilograms. The most popular sizes of cubesats are 1U, 3U (3x1U) and 6U (2x3U). Cygnus takes nanosats to orbit in two ways. If there’s spare capacity in the Cygnus cargo module — and there usually is — nanosats are packed into and around other supplies. Once unloaded from Cygnus, the satellites get loaded into a dispenser. The dispenser goes into an airlock and pulled out by a mechanical arm. Once pointed in the right direction, nanosatellites are released at the appropriate time to put them into the desired orbit. In addition, Cygnus can transport and deliver nanosatellites directly to space on an external dispenser bolted to its service module. The nanosats are stored and stay dormant until Cygnus finishes its stay at the space station. Once released, Cygnus moves to a higher and/or different orbits to release the smaller satellites, providing more flexibility in placement and a longer lifetime than those released from the space station. Building cubesats isn’t that difficult and can be relatively affordable. Several Virginia K-12 schools have built and launched them, getting free rides to orbit provided through NASA and aerospace firm STEM programs. Thomas Jefferson High School for Science and Technology in Alexandria, VA launched one cubesat in 2013 and will put up a second one in the 2018-2020 timeframe. GOMspace, a Denmark-based nanosatellite company, recently moved its U.S. presence to the Tysons Corner area. The company is hiring three engineering positions for the Virginia office and has space to assemble satellites at the facility. HawkEye 360 is among GOMspace’s customers. Located in Herndon, Virginia, HawkEye 360 is developing a constellation of nanosatellites to collect information on specific radio frequencies worldwide for applications such as maritime and logistics tracking, search and rescue, and spectrum mapping and use. By 2019, essential nanosatellite components will be built in Virginia. UK-based Printech Circuit Laboratories (PCL) is building a factory in Halifax to produce nanosat antennas and specialized circuit boards for specialized applications, with the assistance of the county’s Industrial Development Authority. Having a U.S.-based presence enables PCL to supply components for both commercial and defense applications. Halifax has access to high-speed broadband and short-hop transatlantic connections through a wealth of subsea cable landing in the Virginia Beach area. A number of data center projects are popping up in Virginia Beach, fueled by a combination of new cable landings and local government economic incentives. It isn’t hard to see other space IT activity, such as image mining, drop into the southern Virginia footprint in the future.